2 speed electric/hydraulic pumps that deliver 0.6 l per minute, ideally suited for production applications and under the roof jobs. ** "Advance" position holds pressure with motor shut off. *** Usable oil is calculated at the recommended level of 13 mm below reservoir cover plate. † "Advance" position holds pressure with motor shut off. "Return" position returns cylinder. 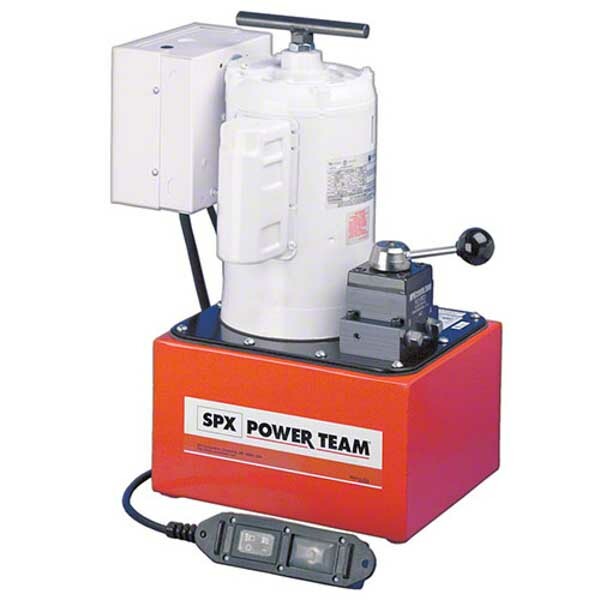 The remote motor control switch on PE46 series pumps is 24 volt. ∞ Not to be used for lifting. When pump is shut off, oil returns to reservoir.